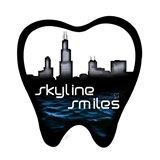 Skyline Smiles (Chicago) - Book Appointment Online! I have high anxiety with dental procedures as I'm difficult to numb and have had previous experiences with being drilled on without being numb. The Dr. was extremely gentle and PATIENT which made all the difference in the world. He was very understanding and a simple procedure I'd been dreading and putting off for a few weeks was taken care of in a short amount of time. I highly recommend this office for anyone who's had a bad prior experience in a dental office. He will renew your faith in keeping your dental health care a part of your health routine. Make those appointments!